As last year, this was one of the stars of the Lamarche line-up. 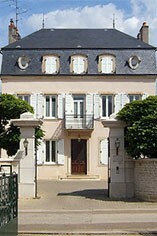 It is a complex, powerful, brooding Burgundy, with intense, dark berry flavours. In this vintage though it shows an extra level of elegance and purity, and the long finish is fresh and vibrant. 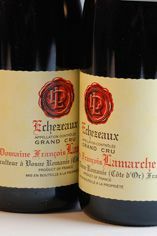 The Lamarche Echezeaux is frequently one of the best wines in their cellar, and the 2009 even exceeds expectations with sweet, ripe dark cherry and black raspberry fruit. This is absolutely lovely.